It’s Poll Time! First up – Demi! 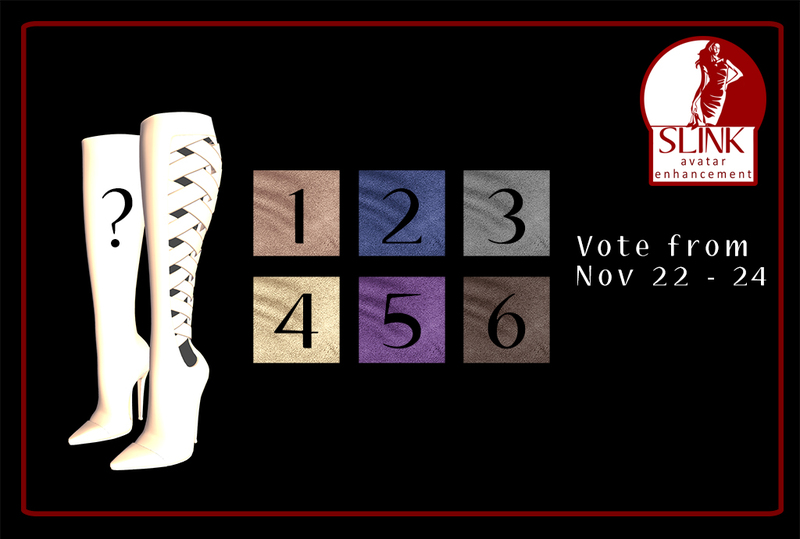 Which colour would you like to see added to the Demi Boot Range? The chosen colour will be sent out to everyone who bought at least one Demi boot at Shoetopia. The chosen colour PLUS my personal favourite will be sent to those who bought the Demi Multipack and/or those who bought the Demi Boot in Blush – the Shoetopia 100% donation item. The 2 new colours will be added to the full price range when they are placed in the Slink Mainstore. A new poll for Hera will be added on the 24th! All the additional colours will be sent in the week following Shoetopia.